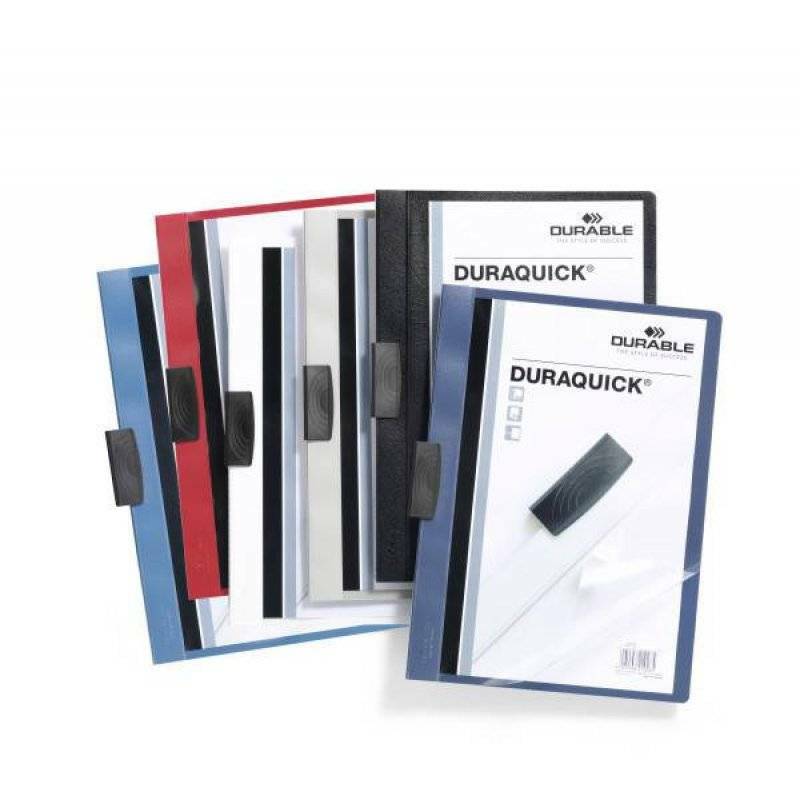 DURAQUICK®, the clip folder with style. 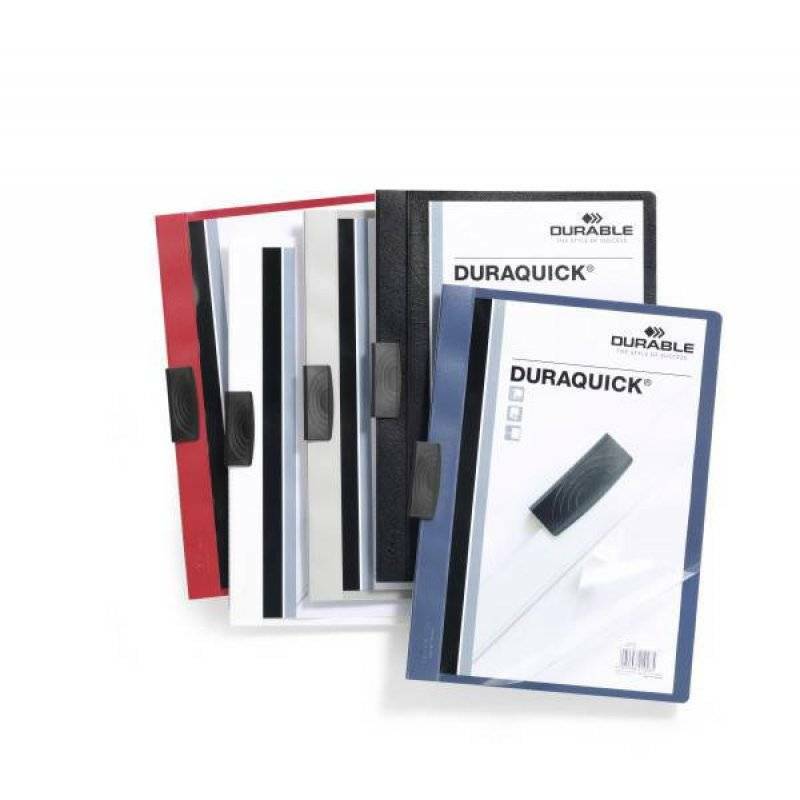 Plastic clip folder for 1-20 sheets unpunched A4 paper. 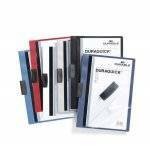 Clear soft plastic front cover and coloured rigid plastic back cover. 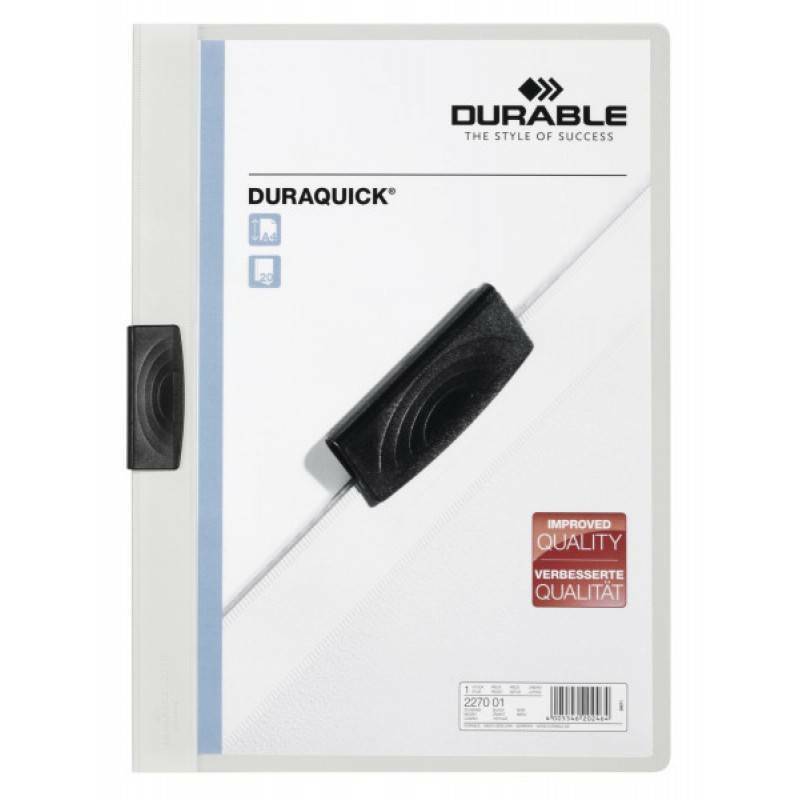 Sturdy long-life clip made of special plastic. 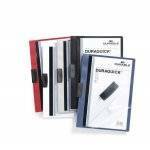 Flat, hard wearing, stylish clip.